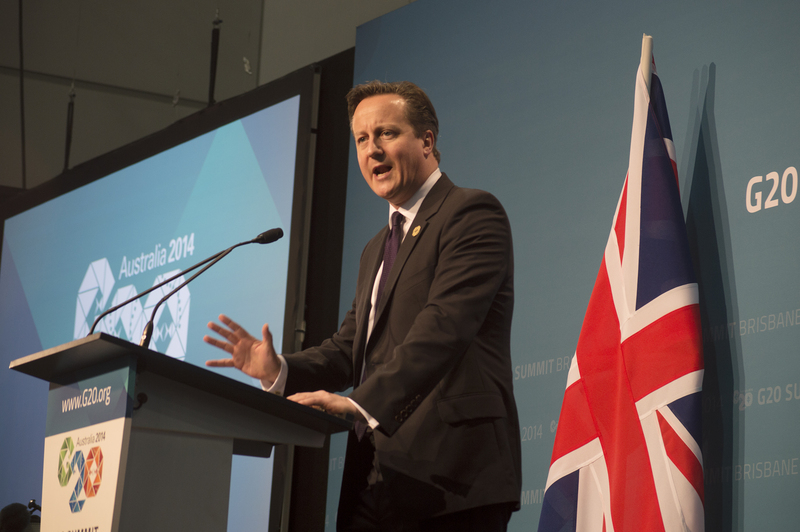 UK Prime Minister David Cameron gives his final address on the last day of the G20 International Leaders’ Summit. Photo: Janelsa Ouma. UK Prime Minister David Cameron said climate change was always going to be on the agenda after G20 talks wrapped up this afternoon. “The core purpose of the G20 is about boosting economy and financial regulation but we were always going to discuss climate change, not least because you have two of the biggest emitters around the table,” Mr Cameron said. Asked whether Britain was pledging any funds to the Green Climate Fund in light of the United States’ pledge yesterday of $3 billion, Mr Cameron said money had already been set aside. “We are currently working out how much to pledge,” he said. In relation to Australia’s commitment to climate change, Mr Cameron said it’s not his place to lecture others, but said everyone needs to bring something to the United Nations Climate Change Conference in Paris next year. Another hot issue up for discussion was the situation in Ukraine, with Mr Cameron saying Russia’s President Vladimir Putin is now at a crossroads with regards to the unacceptable destabilisation of Ukraine. “President Putin should recognise that Ukraine is a single political space and should be recognised as such,” Mr Cameron said. Mr Cameron said leaders showed a united front against the destabilisation of Ukraine. “I think there has been strong unity among nations to maintain sanctions,” Mr Cameron said. « The jury’s still out on JP’s QCAT trial.